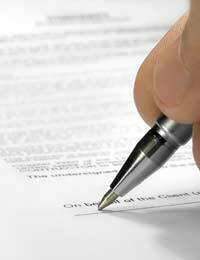 Regardless of your country of residence, making a Will is a vitally important task. It ensures that your affairs can be dealt with in an appropriate way after your death, and that your remaining assets can be disbursed in the manner in which you wish. There are, however, some legal differences between the process of drawing up a Will in England and in Scotland. In the first instance, it should be noted that it is generally advisable to seek the help of a solicitor when writing a Will. This is an important legal document and, as such, there is a certain form to which the Will should adhere. Unless your affairs are very simple, it is always best to get professional help. If, however, you still want to write the document yourself, there are a number of key concerns which you should remember. Perhaps the most important of these is your signature; you must sign and date the Will at the end of the document, as well as once on every page. On the final page you should also print your name and address. It is important that your signatures are made in the presence of a witness, who should sign below your own address on the final page only, including their own printed name and address in addition. Your witness must be at least 16 years of age and deemed to be mentally capable. There are certain circumstances, however, in which you may not be able to give your own signature; if you are blind, for example, or cannot write, you can have your Will signed on your behalf by a justice of the peace. A solicitor can also carry out this task for you, but they will normally charge a fee. You should also explicitly note, at the beginning of the document, that this Will revokes all previous versions. Failing to do this may cause confusion if your executors find more than one Will. This executor (or executors) should be consulted, made aware of their duties, and named on your Will. Their address should also be given in order that they can be found quickly. You are legally permitted to name a solicitor or professional advocate, but if you do so you should specify in the document that you permit them to charge their normal fees to the estate. It is also vital that you consider the possibility of the unexpected death of your beneficiaries. Once you have decided who these are to be, and what you will bequeath to them, you should specify what should happen if they should die before you. If this happens, the specific bequest that you had made to them would become part of the residue; that is, the remainder of the estate. Giving specific instructions relating to these circumstances ensures that you do not have to alter your Will following their death, and rules out the possibility of the incorrect disbursement of the estate if you were to die simultaneously. Many people write their Wills with the aid of a paper kit, many of which are available from high street shops. You should remember, however, that these are generally created specifically for use under English law, and you should therefore check carefully before using them. My fiance's dad (future father in law) asked me to witness his will for him. I know that my fiance's entitlement would be jeapodized if I was a spouse but is it ok if I am not a spouse at the time of signature? Thanks in advance. It's generally advised that partners of a beneficiary to a Will do not witness it...but there are no hard and fast rules on this. I live in Scotland, but have property in England. An English solicitor told me that, as long as my will is valid in Scotland, it will be ok on England too.Would there be any advantage in using 2 witnesses to fulfilEnglish will requirements as well as Scottish? My sister lives in Scotland and is the executor of my dads will. I live in England. She refused to let me have anything to do with his funeral or appoint a solicitor to deal with it. Do I have any rights as one of3 of his daughters to have a say in what goes on? @Shazee. No, as long as the witnesses are 2 adults and have seen (witnessed) the act of signature and are prepared to sign/give their details to the Will to prove this then that's all that is required. The witnesses cannot be potential beneficiaries of the Will, spouses of beneficiaries, or members of the Will maker's own family. If the witness of a (scottish) will did not know or take ID from the testator, is that good grounds to challenge the will? Is the will invalid? @ Jim, you cannot disinherit a legal heir in Scotland. However, depending of the size of your estate to be left and your current marital status, it might best not to make a will. Ok I know this may sound off, but I live in Scotland and want to know how I can ensure that neither of my children who have been estranged from me for sometime, do not benefit from my estate. My wife and I share everything,although at the moment she has separate accounts-if she should die before me, does she have to make a separate will?